It Can Connect with & Fit for IOS 7.0 and Above & Android 4.3 and Above System Smart Phones by Bluetooth 4.0 !!! (16) Fit for XiaoMi Redmi 2 2A Note Note 2 3 4 ..
* APP name: Search and download “H band” from the Apple Store or Android App store. DM58 professional band can only switch to Chinese or English. But its APP application supports the following languages. 2. If the phone’s Bluetooth version is equal to or higher than the watch’s / bracelet’s, but is initially unable to pair, then you need to clear the Bluetooth connection history on the phone, scan and re-connect again. The invisible circle button, you can check news anytime, anywhere. Large touch screen can display more contents and data such as: Time, Date, Battery power, Bluetooth state etc. Even when you are wearing it for swimming. * Accurate Heart rate, visible on the wrists. 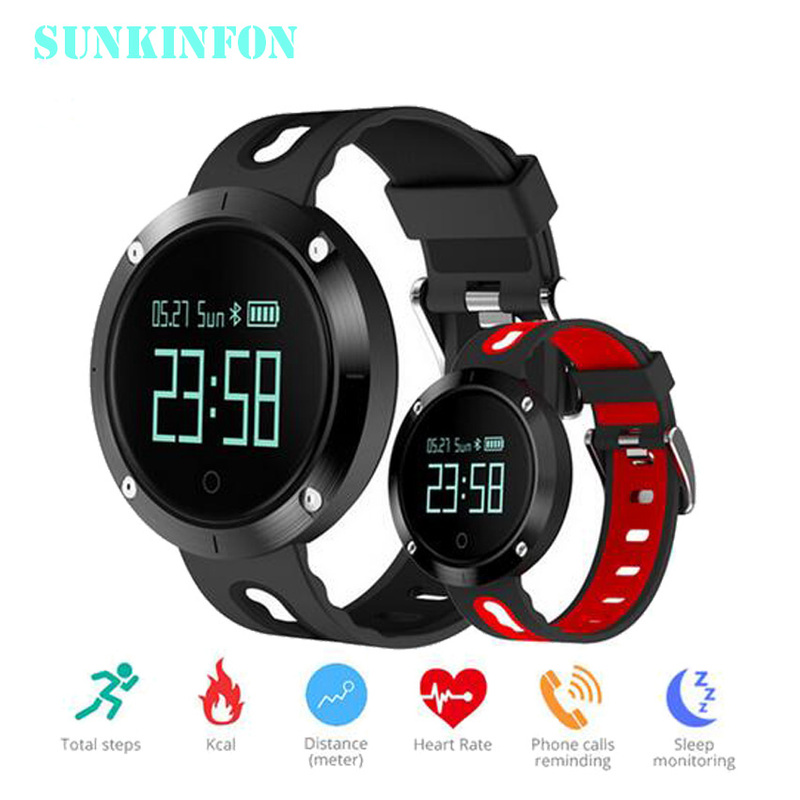 It monitor your sleep duration and quality and then could be offer you reasonable sleep parameters, so that help to improve or adjust your sleep quality of sleep.